A real hunting knife handful. 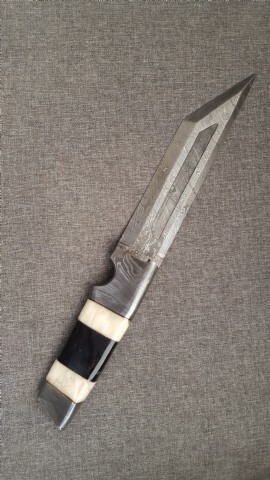 Top quality Damascus sharpened blade. 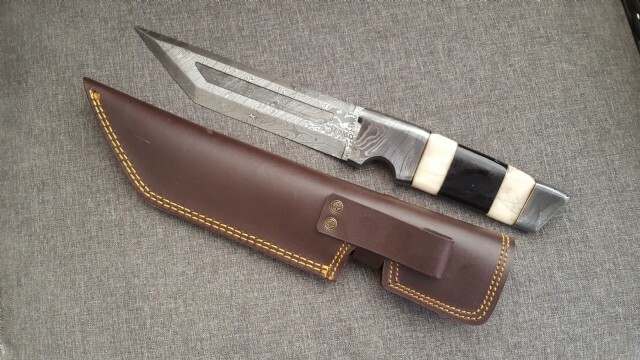 Striking bone and horn handle, brass spacers and Damascus fittings. 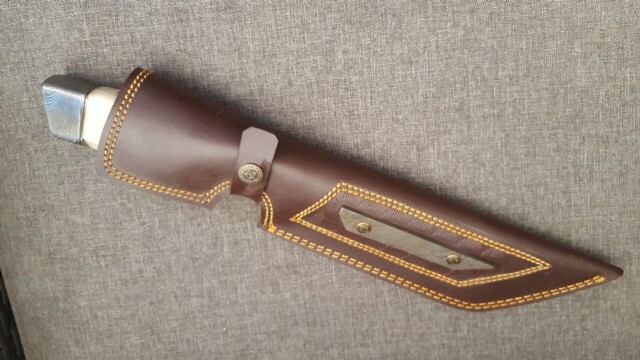 Comes with beautifully accentuated genuine leather sheath.